At Bliddal-classic we specialize in wholesale export of vintage Danish modern furnishing to anywhere in the world. Our selection is based on the best of danish mid-centry modern furniture and design classics by handpicking orginal vintage high quality teak, oak and rosewood itemes from Denmark. Our selection of modern furniture varies from good quality industrial design furniture to furniture designed by the best Danish designers such as Hans J. Wegner, Arne Jacobsen, N. O. Moller, Borge Mogensen, Arne Vodder, Kai Kristiansen,Finn Juhl and the like. We are a family owned and operated danish business located in hernig a part of Jutland, Denmark. Bliddal-classic is owned by Jan Bliddal Søndergaard. Most of our sales are completed by email or phone but we always encourage costumers to drop by our warehouse and showroom located in herning. What you will find, however, is a solid selection of well-preserved hand-picked finds from Denmark. We believe that importing Danish modern furniture should be easy and we strive towards making the process as simple and transparent as possible. 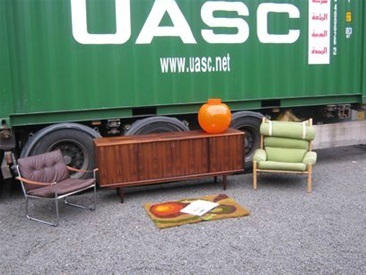 Mid-century furinture warehouse, with modern Classic furniture from denmark.